Much has been written about converging threads in the geospatial arena over the past several years (6 articles in Safe’s blog alone! ), whether it’s BIM and GIS, 3D and 2D, 2.5D and 2D, or even geospatial and music videos! But over the past couple of months I’ve noticed a significant set of developments emanating from the gaming industry that are sure to have ramifications for the unsuspecting, staid geospatial industry. I was first alerted to this trend by my friends over at the Very Spatial Podcast. Back in June their episode 361 picked out a couple highlights from the 2012 Electronic Entertainment Expo (E3) and pointed out how useful the technologies being developed and deployed for games could be in the geospatial realm. The first to be highlighted was the upcoming “Watch Dogs” game, which combines very realistic 3D city simulation with a fictional exploration of what happens when all those sensors that comprise the Internet of Things fall under the control of hackers. If nothing else, city councils may find themselves having much to learn from players of this game, if only to avoid creating a future dystopia. In a more uplifting (if also visually compelling) vein, Very Spatial also pointed to the latest incarnation of Sim City as a stunning example of the geospatial 3D realism about to rain down on gamers. Full disclosure; in my youth I did spend more than a few hours foisting stadiums on impoverished urban ghettos, but never was the experience as rich as it is in the latest iteration. While we still have to wait until March to see it live, the realism of the simulation reminds me of Infrastructure Modeler demos I’ve seen at past Autodesk University shows, or the demo I saw more recently of the UVM Systems’ CityGrid package (which recently was selected by SwissTopo as part of a nationwide 3D Building modeling project). Last July Esri Australia’s 3D geospatial specialist Leonard Olyott stated that, “Computing advancements in the gaming industry have driven our ability to take GIS technology into a 3D environment,” and discussed how Esri’s CityEngine is productizing some of these advancements. I’m convinced it won’t be long until city planners (or at least potential mayoralty candidates) will be asking for a way to bring their GIS information into SimCity 5, or maybe there will be a SimCity extension available for their favourite GIS. Indeed, it turns out that Ergon Energy is already underway in creating a SimCity-like environment for its planners. The most fascinating convergence of all of these is emanating from Mojang, makers of the tween, teen, (and adult) 3d building game, Minecraft. Much to the chagrin of parents everywhere, a whole generation of future geospatial professionals is learning to painlessly navigate and create immersive 3D worlds, becoming exceptionally proficient at using keyboard commands intermingled with direct manipulation graphical commands, as they log the 10,000 hours needed to achieve expert status. 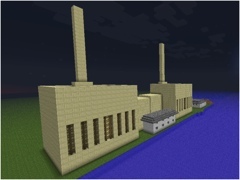 I found this out first hand recently when, the night before doing a webinar on 3D, I asked my 15 year old son to whip me up a model of the Barsebäck Nuclear Power Plant using Minecraft. In a matter of minutes, he had the model on the right for me. While this experience hinted at the potential of Minecraft for more serious work, I had no idea that anyone else had been thinking along these lines. So imagine my surprise upon learning that Mojang and the United Nations were teaming together in the cleverly named initiative “Block By Block” to encourage the use of Minecraft in crowdsourcing urban planning, giving youth “the opportunity to show planners and decision makers how they would like to see their cities in the future”. 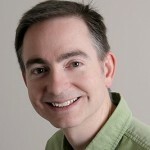 Dale has been leading the core development of FME since Safe Software’s inception more than 18 years ago. Much of Dale’s time is spent refining and optimizing the user experience in the graphical user interfaces (GUIs) of the FME platform, as well as exploring ways FME technology can be extended and used to refine the exchange of data between CAD, GIS, and BIM systems and data models. 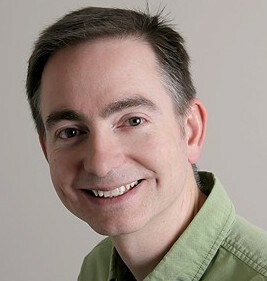 He is a Computer Science Honors graduate and a Masters recipient with specialty in Usability for Software Technology from the University of Alberta.